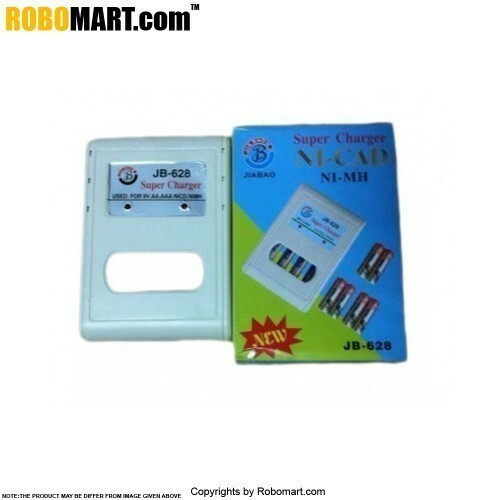 The JB-628 NI-MH/NI-CAD is a super battery charger used for charging 9V, AA, AAA, NiCD, NiMH. Input: AC 110Vor220V, 50-60Hz, 3W. Output: DC 1.4V, 120mAx 4 9V 18mA. For 1-4pcs x AA / AAA Ni-MH or Ni-Cd batteries,1 pcs 9V battery. It is used to charge the battery. 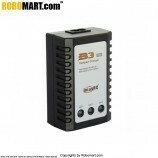 Also Searched as : Battery charger, 9V battery charger.